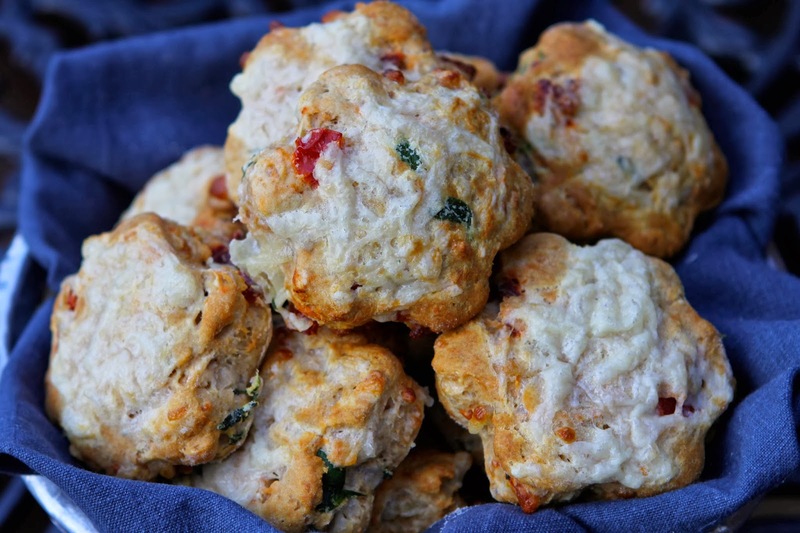 Having discovered how to make gluten free scones which are soft and fluffy and absolutely comparable to the gluten-containing versions, I can't get enough of them. 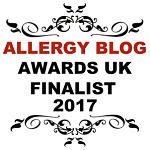 The flavour options are endless......... and this week I have been at it again! 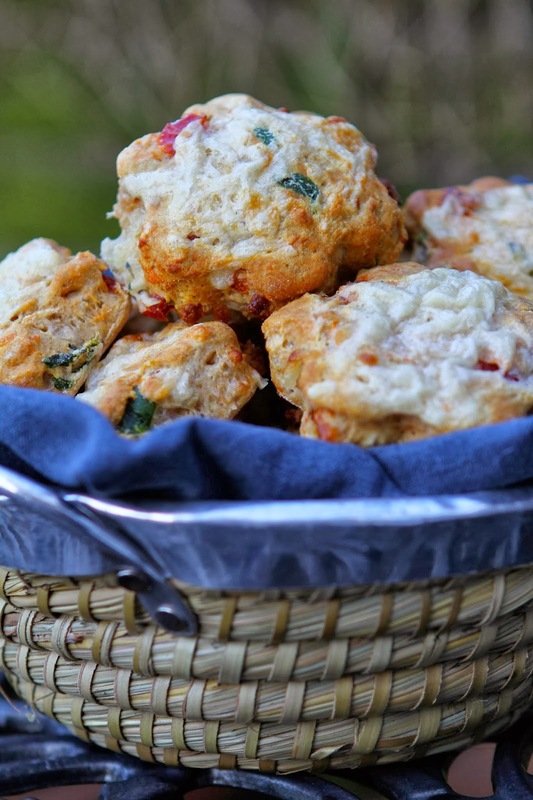 Savoury scones make a wonderful, tasty, easy lunch (or in my case, an occasional breakfast) and these ones are really really yummy. 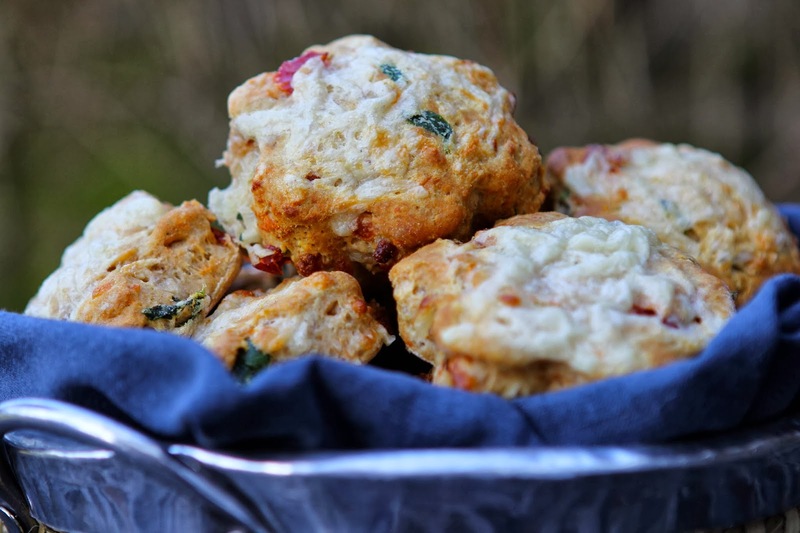 Rich from the cheese, tangy and sweet from the sun-dried tomato and basil, yet still light and airy, they combine some of my favourite ingredients to make a scone which is bursting with sunshine-flavour and is good enough to grace any table (or lunch box). I found the sun-dried tomatoes hiding at the back of my fridge, having completely forgotten that I had bought them, probably before Christmas! It is a good job they don't go off too quick......... Figuring it was about time they got used, I have had a bit of a sun-dried tomato fest putting them on and in anything that needs a bit of red. 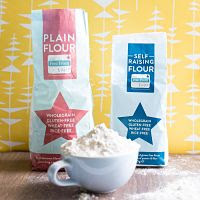 The recipe is incredibly straight forward and although it does contain a number of different flours, it is definitely worth the effort of sourcing them. The combination seems to produce a pretty reliable dough which I think is uncannily gluten-like. 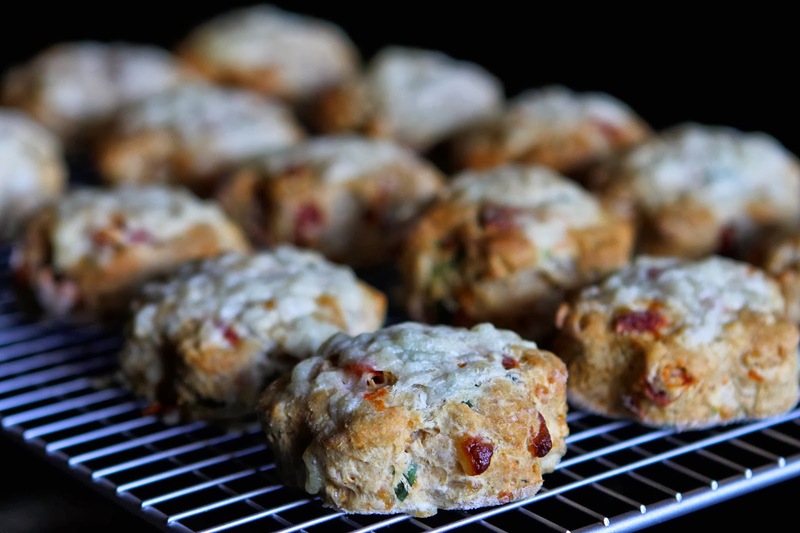 Sun-dried tomato has the most amazing and quite unique flavour which perks up any number of dishes, from pasta and pizza to scones, savoury biscuits and breads. 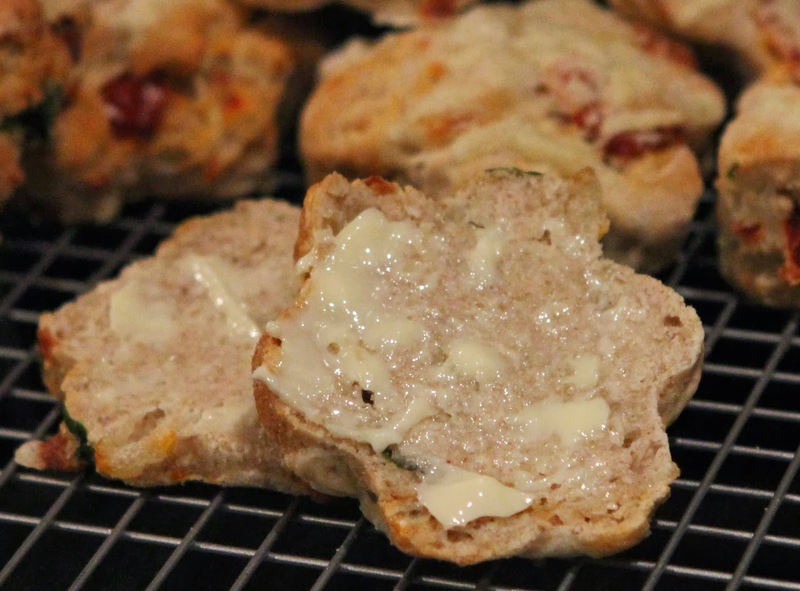 Quite tart, but with an incredible depth and serious intensity of flavour, it pairs perfectly with the basil and cheese in the scones, to provide a burst of the Mediterranean and a beautiful orange-red tint to the bake. Weigh and mix the flours, baking powder, bicarbonate of soda, xanthan gum and salt in a medium bowl, making sure any lumps are completely broken down. Rub the butter into the flour until it has the consistency of fine breadcrumbs. Add and stir in the grated cheese. 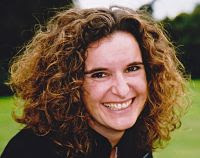 Mix the milk and soured cream together and add to the dry ingredients with the beaten egg, sun-dried tomatoes and basil. Using the back of a silicone/wooden spoon or a flat knife, gradually mix the ingredients together to form a dough and continue to 'knead' with the spoon/knife until the dough is completely combined and smooth. Do not over-mix. The dough will be too sticky to knead by hand, but will hold its shape well. Tip onto a surface sprinkled with corn/rice flour and sprinkle a little flour on top. Roll to an even thickness of about 1 inch/2½ cm. Using a medium cookie cutter, cut the dough into rounds and place them on the baking tray. Bring the remaining dough together and repeat the rolling and cutting process until all the dough has been used. 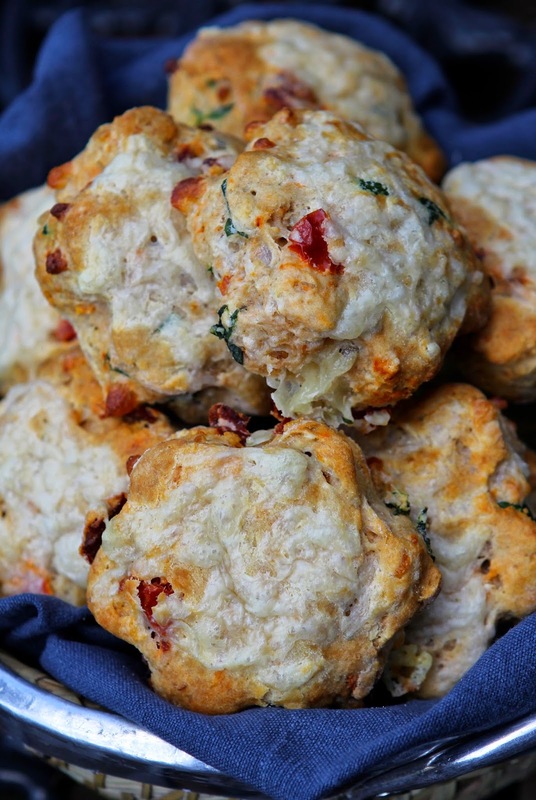 Brush the top of each scone with a little milk to glaze and sprinkle with a little grated cheddar. Bake for 15 to 18 minutes until firm and golden. Best eaten fresh or freeze and warm in a microwave before eating. Isn't it so true about the challenges - some of my best dishes have started that way. 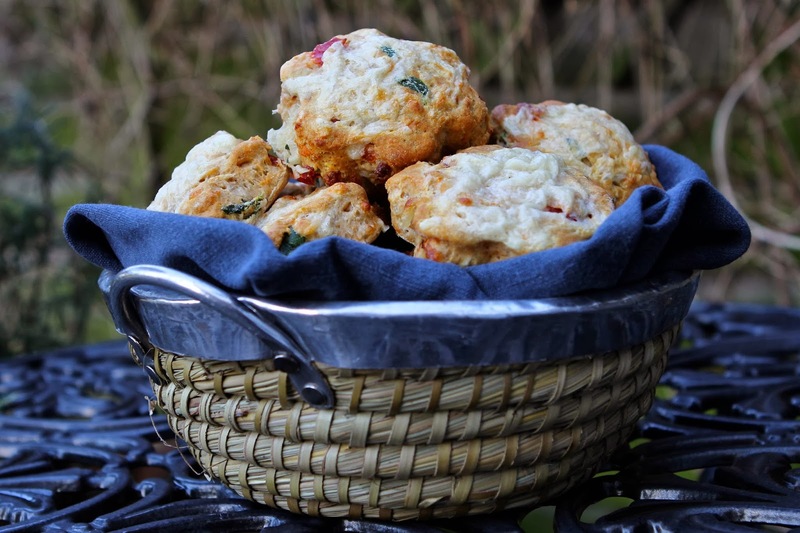 Thank you for entering the No Waste Food Challenge - lovely scones! I know..... I like to view them as a bit of a 'Masterchef inventions test'. Sometimes they can be complete disasters, but other times you just don't look back!